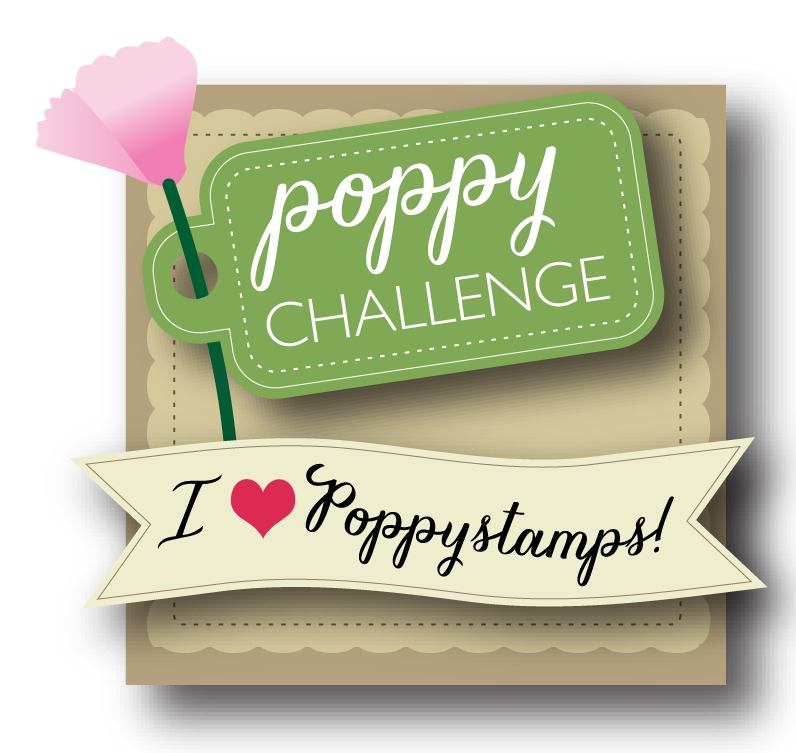 This month's Poppystamps Challenge is - Thankful. Since this is the season to think of everyone and everything we are thankful for. I made a little card and I'll send it to someone I am thankful for being in my life. I used a piece of scrap paper, I couldn't tell you the name, as silly me, it's cut off...The sentiment is from Poppystamps. The leaves are some I'd made for an earlier project, I cut them from the Poppystamps Maple Leaf Border and the background die is Bailiwick Background die. If you know me, you know I ABSOLUTELY love dies! Can you tell? 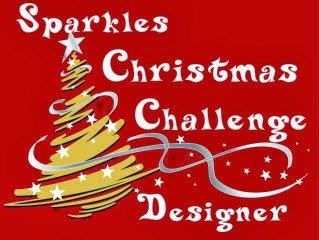 I added a bit of Martha Stewart coarse glitter....hey, you've got to have glitter! and a little leaf embellishment from my stash. I think it's been hanging out in my stash since the 90's....that's older than some of my readers! So, as you can see, I used the same papers on the inside, but in reverse, the plaid becomes the focus paper and the dots become the accessory. Since I used all the leaves on the front of the card, I had to die cut another. I sponged ink around the edges and added a bit of you know.....GLITTER! I cut a shaped die and this is the tag for my pocket. It's nice and big so I can write a nice note and if I run out of space, I can use the back side. 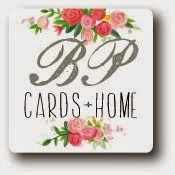 This card was quick and easy and I used up lots of snippets. Everything but the base of this card is from my stash, using snippets large and small.....I just may have to hop over to post this on Di's blog page....hmmmmm! Don't forget, you can play along with both challenges. 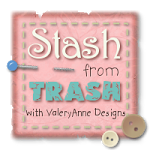 All you have to do is link your creations to Poppystamps Blog Page and if you want to show your snippet creation, link to Pixie's Crafty Workshop. 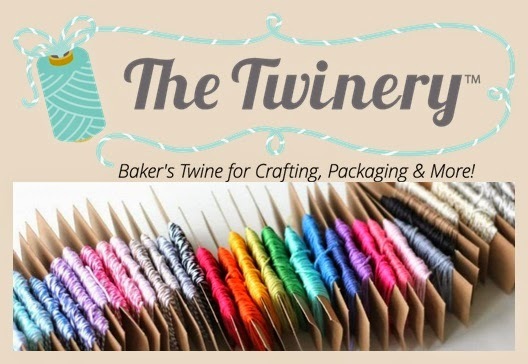 Have a spectacular day and a crafty week. Hugs from my world to yours. Lovely inside and out. Hugs Mrs A.
what a super designed card. I love the colour papers used,and those leaves are super. Beautiful leaf at the bottom of your card, a very nice and unusual one. I have not seen those before. 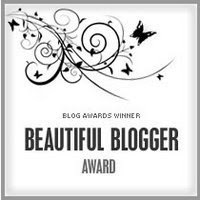 Mary this is beautiful. I just love that die cut...so delicate! I love the delicate die! The orange is gorgeous too. 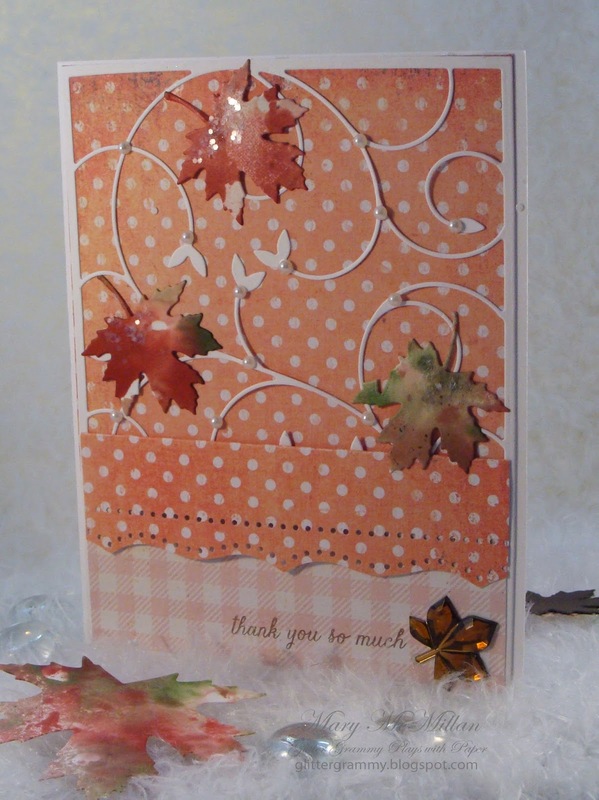 Love the saft Fall colours and love the design of this card!!! Hi Mary, how lovely to see you in the Playground! 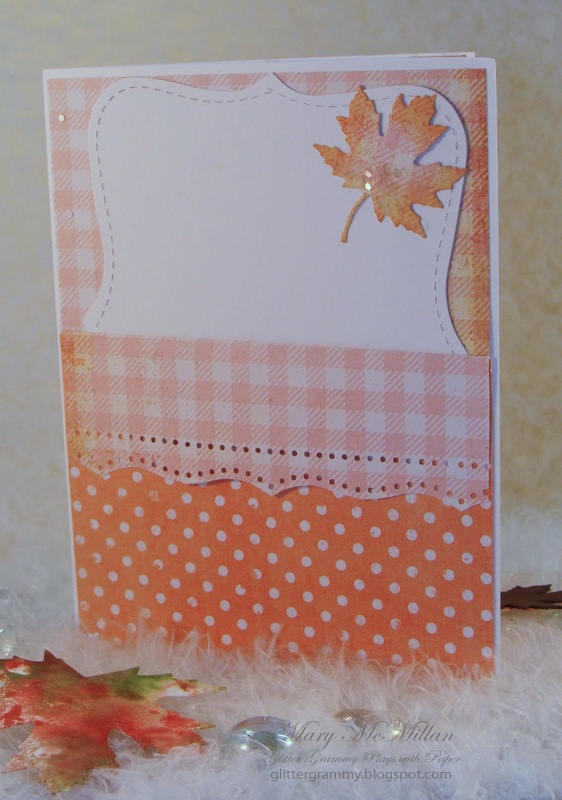 Love this card, such pretty soft shades and yet right for Autumn!